It's hard to express our feelings about the intelligence of our human beings. Smarter and smarter according to the development of science, that's definitely. And just because of those geniuses, we are walking to the age of 3D while 3D technology become maturer and maturer. Well, we now are still in the early age of 3D and there are few 3D products supplied. For example, 3D movies now gain a lot of people's attention to watch but audience have to go to cinema to watch, well, some of them are available at home when you have some 3D media player and 3D equipments like 3D glasses. It's awesome to have 3D theatrical experience at home of course if there are enough 3D movies or your favorite movie happened to have 3D version. But what if not? What if your wanted movie is still 2D one? Then make it be 3D movie! 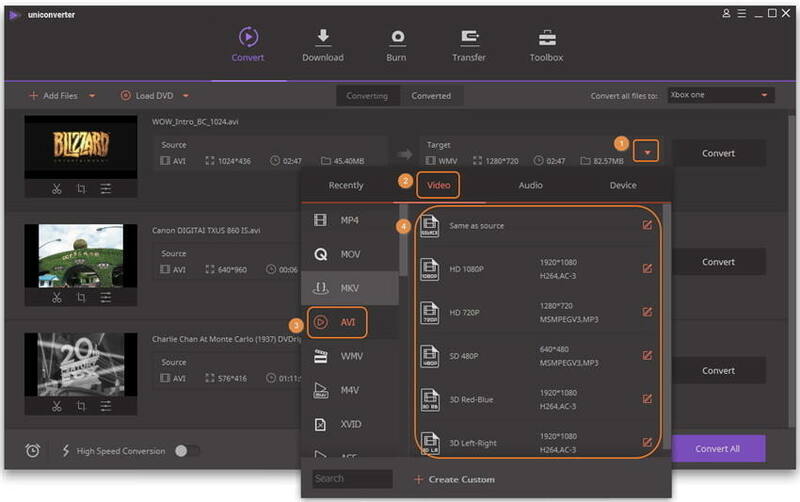 You can directly drag & drop your normal 2D video in any format to the 3D AVI converter or click Add Files button on the upper-left corner of the main interface to import all video files in your chosen folder into the program for converting. To get your own overwhelming 3D experience, you here need to choose the output format according to your 3D media player. Basically, click the icon in the Target section, then select Video tab to choose AVI in the left sidebar and select either 3D red-blue or 3D left-right in the right. Press the Convert button then leave the software to accomplish the rest of 2D to 3D AVI conversion automatically. Once the conversion is done, you then can import the files to your player and go ahead to enjoy your 3D enjoyment! Now, you can go on to play 3D video as you wish. 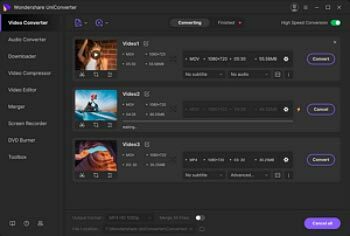 Moreover, Wondershare UniConverter (originally Wondershare Video Converter Ultimate) is an all-in-one video solution for assisting you to deal with 2D and 3D video files. You can create any 2D file to files in 3D MKV, 3D MP4, 3D WMV or 3D AVI. And if you wanna upload your files to YouTube 3D page for sharing online, choose the optimized preset for YouTube directly which would save your time. Moreover, editing video files is supported. 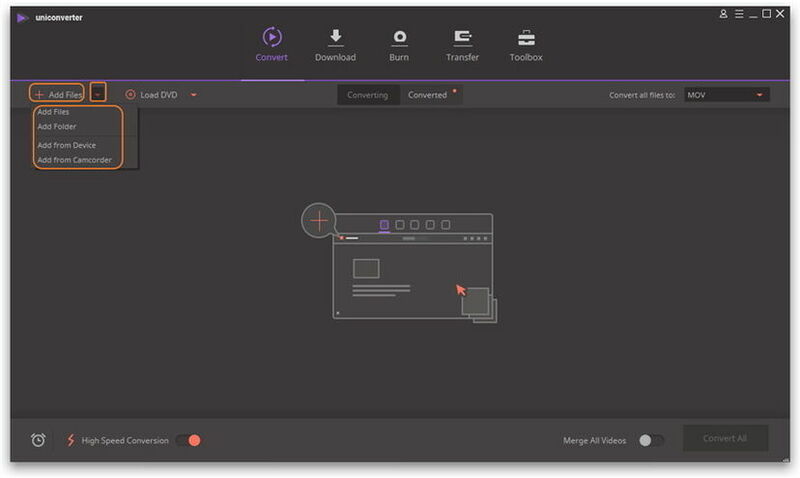 To enhance your media experience, go to user guide of Wondershare UniConverter (originally Wondershare Video Converter Ultimate) for more info.